As part of the 2012 Cultural Olympiad the BBC produced The Hollow Crown, adapting three of Shakespeare’s plays for television. The first cycle, shown in the summer of 2012 featured the bard’s “Henriad”: Richard II, Henry IV (parts I and II), and Henry V. The adaptations featured many famous faces including Ben Whishaw and Simon Russell Beale who both received BAFTAs for their roles. This year, The Hollow Crown returns with its second cycle entitled “The Wars of the Roses”. This trilogy of films has condensed Henry VI Part I, Part II and Part III into two films, leaving Richard III to close. Once again, a star-studded cast is taking part in the Shakespearean fun. Tom Sturridge will play Henry VI with Sophie Okonedo as his Queen Margaret, Hugh Bonneville is Gloucester with Sally Hawkins playing his wife, the Duchess. Benedict Cumberbatch takes on the hefty role of Richard III and Dame Judi Dench will play his mother, Cecily, Duchess of York. 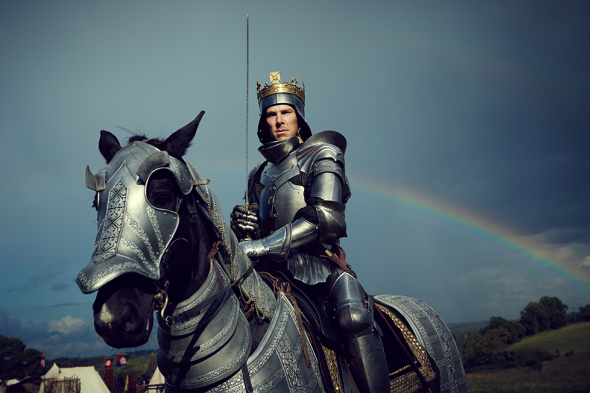 The Hollow Crown kicks off tonight (07.05.2016) with Henry VI, Part I at 9pm.